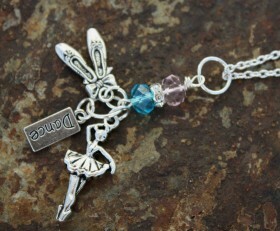 If you love to dance or know someone who does, here’s a pretty necklace to show your love. 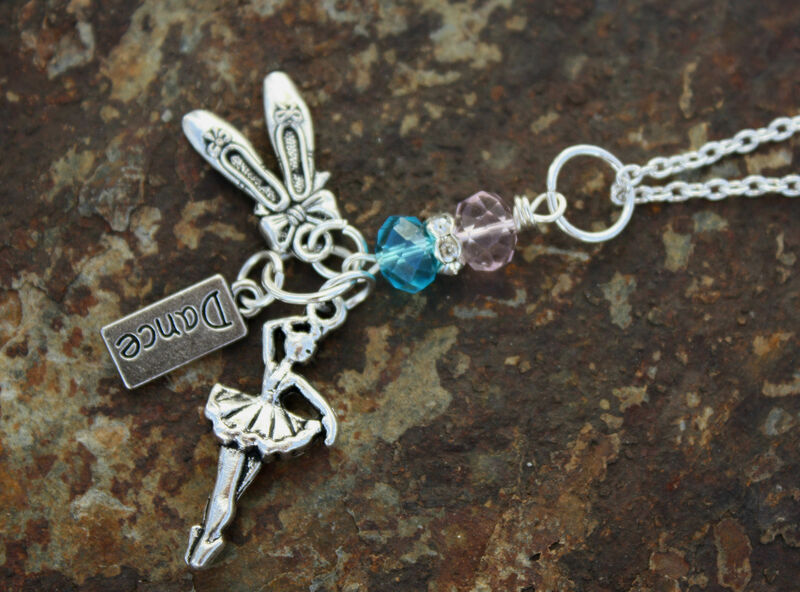 Beautiful dance shoes, a dance tag and ballerina are accented with pink and aqua Swarovski crystals with bling spacer bead on a 24″ ball chain. We can customize the color of the crystals to your dance studio colors. Tell us your colors on your order.